Bassnectar teased the possibility of a destination-like event earlier this year. And today, that dream became a reality for Bassheads across the globe. The event will take place at the Barceló Resort, just south of Cancún, beginning on February 28th and ending March 2nd. All-inclusive packages are on sale August 3rd, starting at nearly $1,400 and going up to nearly $4,000. 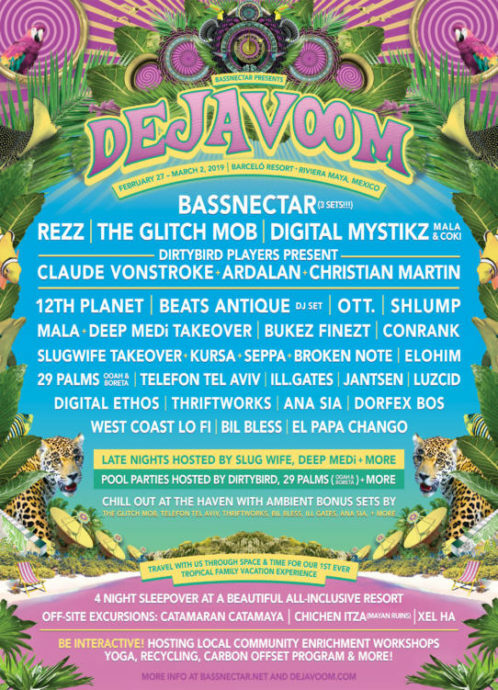 Bassnectar recruited electronic artists across the spectrum, including names such as REZZ, 12th Planet, Shlump, Elohim, and a Dirtybird Players takeover.